Queen Victoria’s Diamond Jubilee Celebrations, 1897. 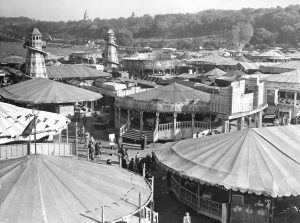 The Forest was the ideal setting for major public gatherings, from Methodist revival meetings to royal visits. Queen Victoria’s Golden and Diamond Jubilees were celebrated there, as were the coronations of all her successors. 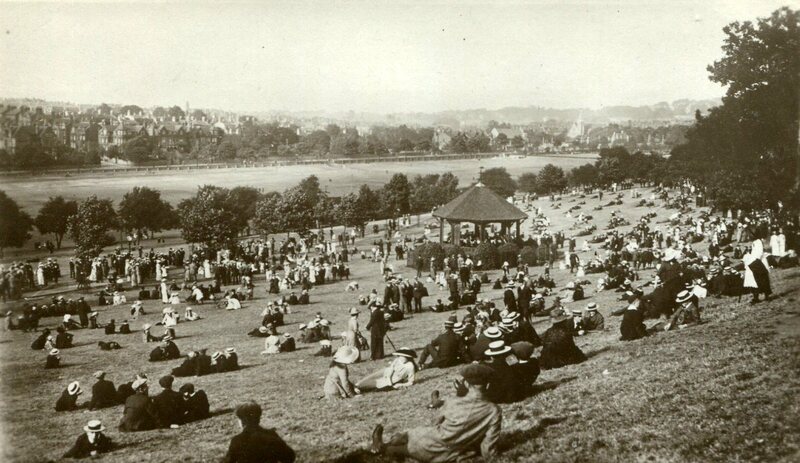 The Forest had always been the main cricket ground to the north of the town. 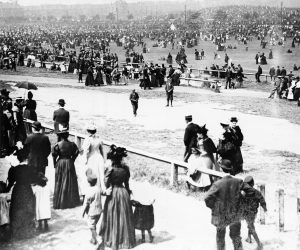 By 1880, 14 acres of land were devoted to cricket pitches for matches and seven acres for informal games. 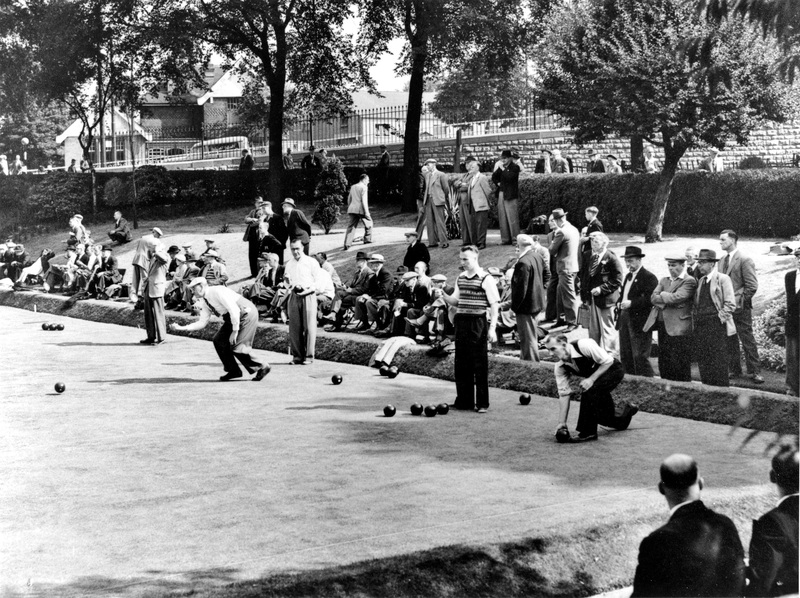 When the racecourse closed in 1890, The Forest was developed as a sporting venue for football, cricket, tennis, bowls and a place to practise putting. 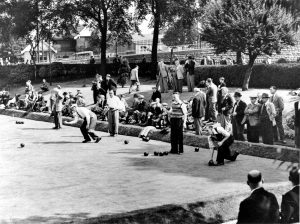 In 1913-14, 40 cricket clubs played 209 matches on 12 pitches. 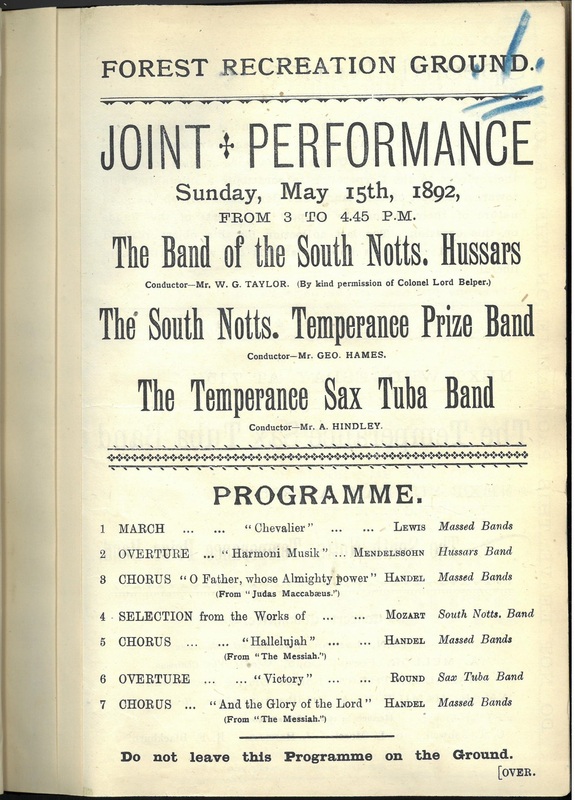 In 1890 a ‘committee of gentlemen’ began arranging twice-weekly concerts on The Forest. 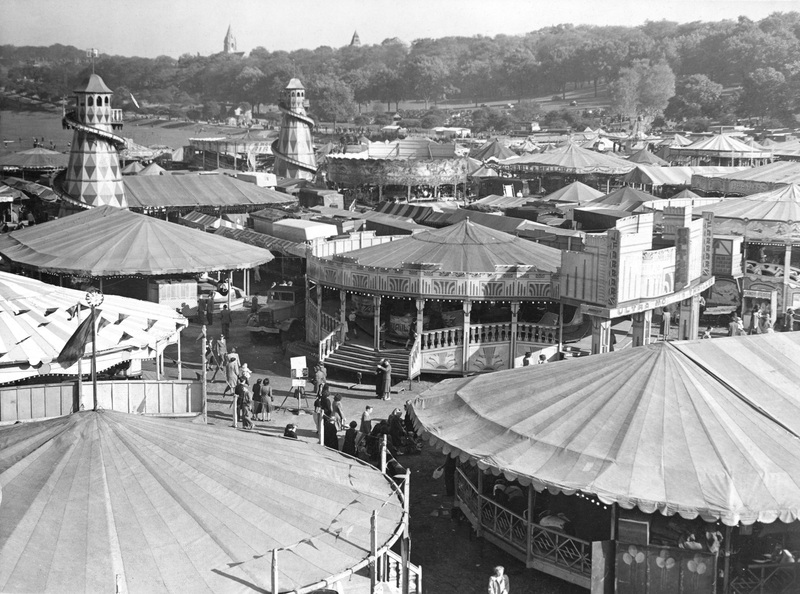 Bandstand on The Forest, c1900. In 1892, a permanent bandstand was erected though the first concert there was rained off. 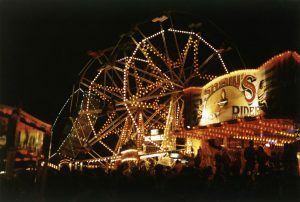 Since 1928 it has been the home of Goose Fair, previously held in the Old Market Square, and it is also the venue for circus Big Tops and other types of public entertainment. The western side of The Forest is now a tram stop and Park and Ride, while artificial pitches and a multi-use games area have been developed at the eastern end. In between remains a large open space for major events and mass entertainment. 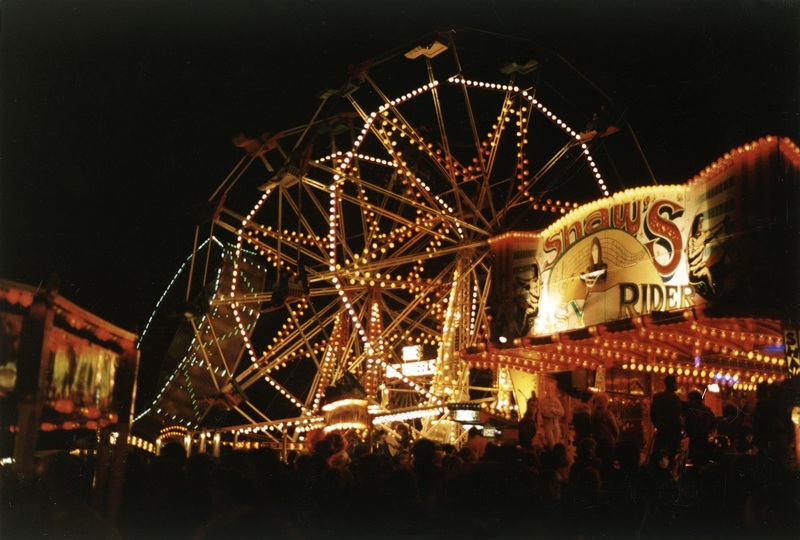 Goose Fair at night, 1984. 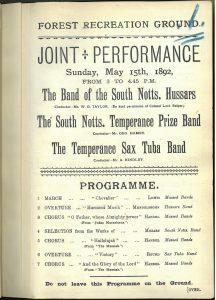 Programme for the first planned concert held in the new permanent bandstand.